I just can’t stop praising the Lord. I have to be sure His name is always on my lips, His thoughts always on my mind. I can’t separate myself from His Word to me, to His people. In fact, let’s do it together. Everyone? Exult in the Lord with me! Make His Name so big and so prominent in your day that you think “Father… Adonai… Elohim… God… Lord… Savior… Yahweh… Jesus the Christ…” infinitely more times than you think of yourself. Let’s do this thing where we squash our self-absorption and opt for the glorification of the Holy Other. Magnify the Lord with me! It’s true, thank Him so much, that when I have sought after the Lord – He answers me. He doesn’t leave me alone. Even today, when I wrote out in plain letters, It feels like you just dropped me off and wandered away to do something more holy – where are You? What are You doing? It doesn’t change reality: I’m not crushed here. Oh, my little soul feels like it. But I am not crushed. The Lord answers me! He delivers me! The Psalmist says I can taste and see that God is good – are you, God? Are you really? I suppose I don’t really wonder about Your goodness. I do believe it. But the taste of it is not always sweet. I get so nervous. How painful will Your goodness turn out to be? But oh, You are not unkind… When I seek You, pursue Your realities over my own – I will lack no good thing! I’m never lacking. I’m never unfinished. You will finish the good work You’ve started in me. 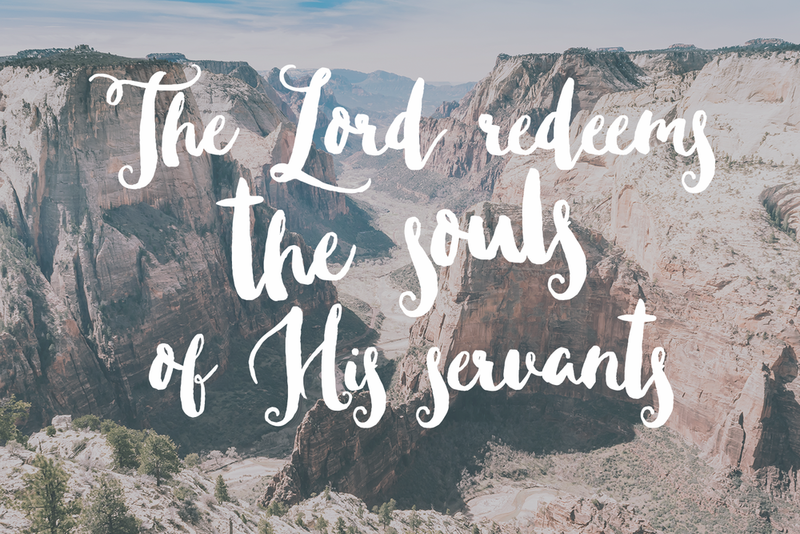 The Lord redeems the life of His servants. Hallelujah. Magnify the Lord with me! Let us exalt His name together, friends.